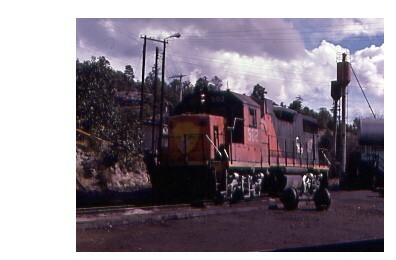 Mexico was an unknown railroad land south of the border to me. 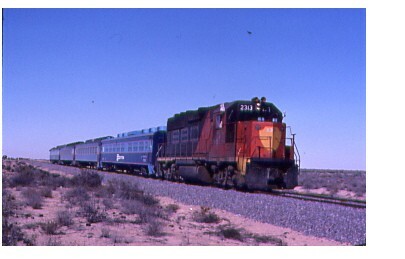 I first saw it in a Rail Classic Magazine about the Pacific Southwest Railroad Museum trip to Puerto Penasco. 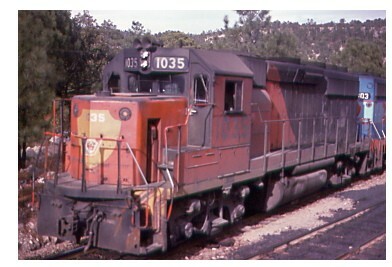 Seeing articles in Trains Magazines furthered my wanting to visit Mexico. 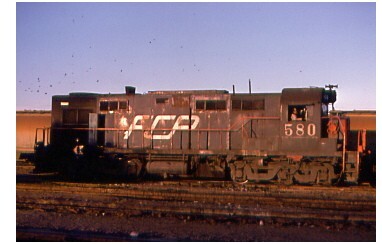 I started first on a PSRM Puerto Penasco trip and fell in love with Mexican railroading wanting more. The Bananafish Tours trips to Copper Canyon came next then the other places fell into place. 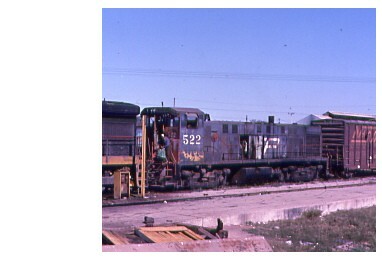 I will now take you back into time to enjoy railroading in Mexico as it once was. 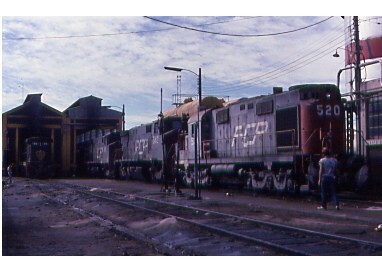 SBC Tren 2 raced through Lopez Collada on 12/31/1990. 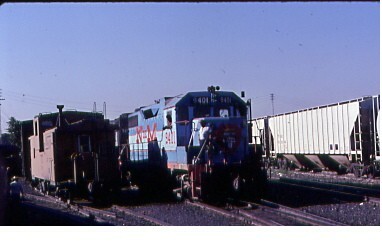 SBC GP-40-2 2104 at Mexicali on 4/5/1986. 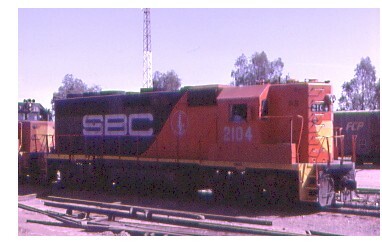 SBC GP-40-2 2110 waited at Mexicali on 4/7/1984. 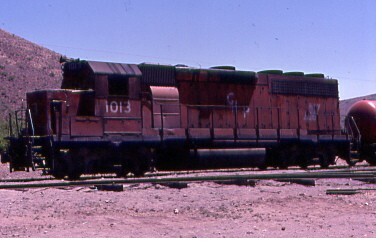 A roster shot of the 2110 at Puerto Penasco on 4/7/1984. 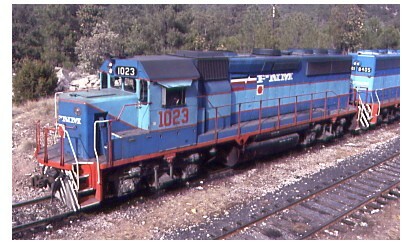 In a different paint scheme, the 2110 again at Puerto Penasco on 4/5/1986. 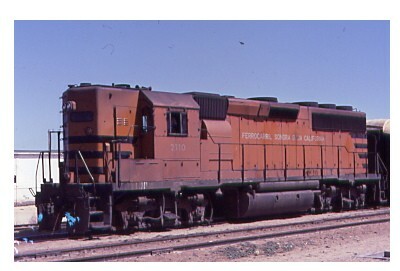 SBC GP-40-2 2112 at Puerto Penasco on 4/7/1984. 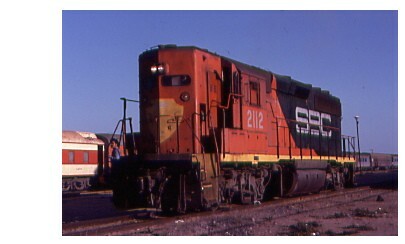 Another roster shot of the 2112 in Puerto Penasco on 4/7/1984. 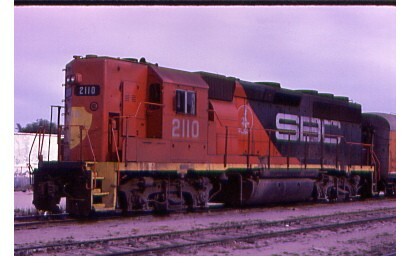 SBC F7A 2201 at Benjamin Hill on 5/31/1987. 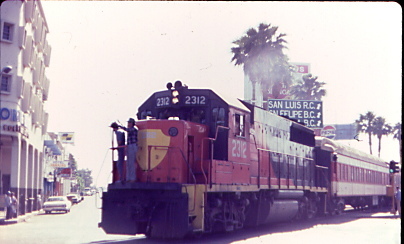 SBC GP-40-2 2312 pulling the Pacific Southwest Railroad Museum Excursion Train to the border in Mexicali on 4/7/1984 prior to the departure to Puerto Penasco. 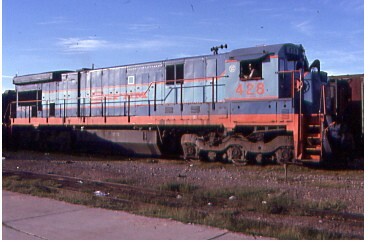 SBC GP-40-2 2313 in Puerto Penasco on 4/7/1984. 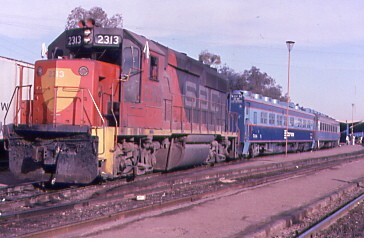 This time the SBC GP-40-2 2313 at Mexicali on 3/3/1991. 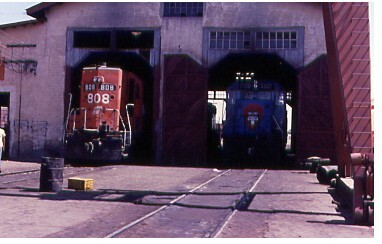 A few scenes of the Nogales Engine House on 9/28/1990. 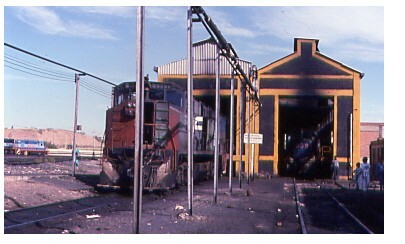 A scene of the FCP Sufragio Engine House on 12/28/1997. 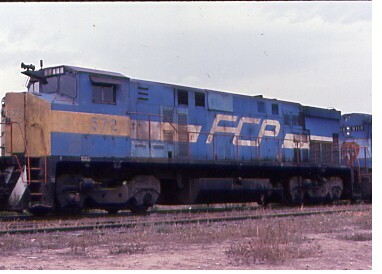 FCP C-36-7 424 at Sufragio on 3/24/1991. 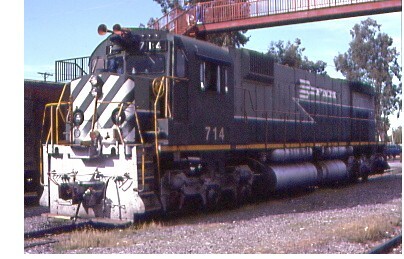 FCP 427 led Tren 4 at Benjamin Hill on 12/31/1992. 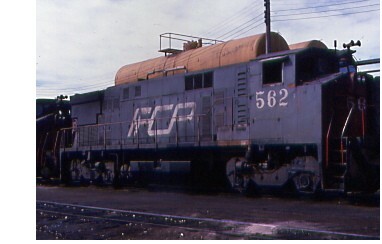 FCP C-30-7 459 at Nogales on 9/28/1990. 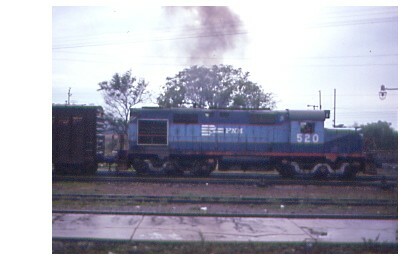 FCP RSD-12 502 at Empalme on 3/26/1991. 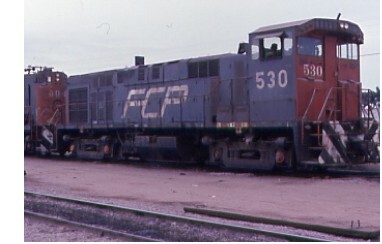 FCP RSD-12 504 at Empalme on 3/26/1991. 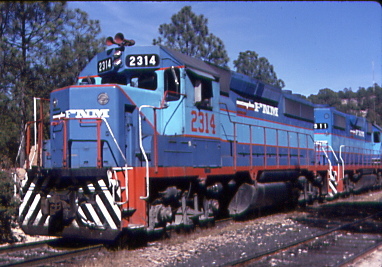 FCP RSD-12 520 at Nogales on 9/28/1990. 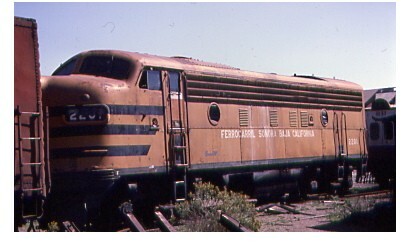 FCP M-420TR 522 at Sufragio on 3/24/1991. 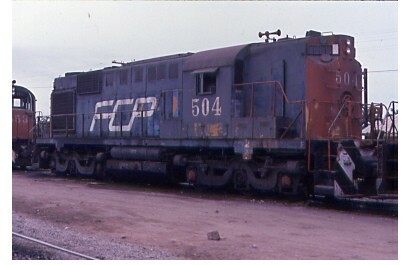 FCP M-420TR 530 at Empalme on 3/26/1991. 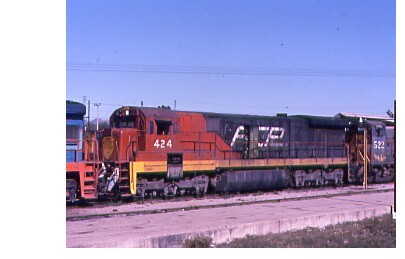 FCP M-424W 562 at Nogales on 9/28/1990. 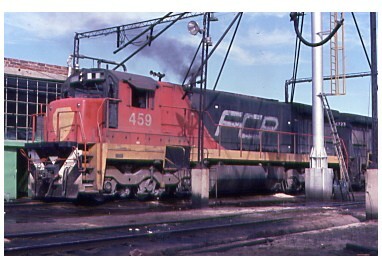 FCP M-424W 571 at Empalme on 12/31/1992. 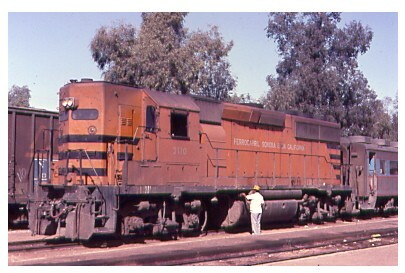 FCP M-424W 572 at Esqueda,Sonora on 9/29/1990. 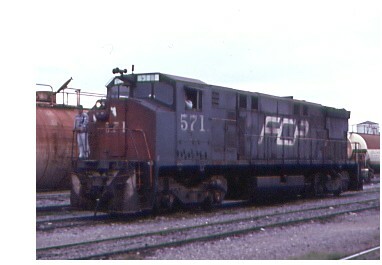 FCP BX-620 576 in Sufragio on 1/1/1988. 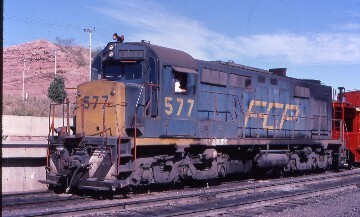 FCP BX-620 577 in Nogales on 9/28/1990. 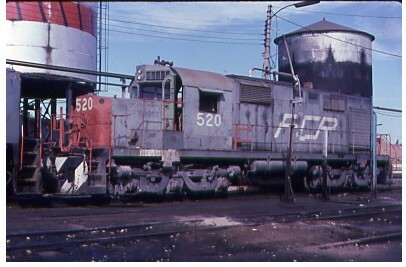 FCP BX-620 580 at Sufragio on 1/1/1988. 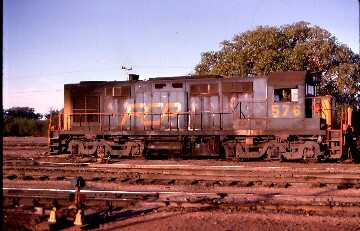 FCP BX-620 584 at Sufragio on 1/1/1988. 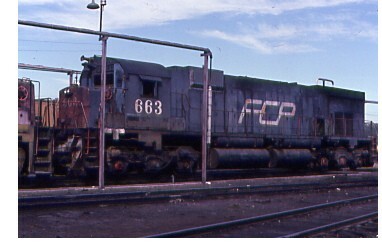 FCP M-636 663 at Nogales on 9/28/1990. 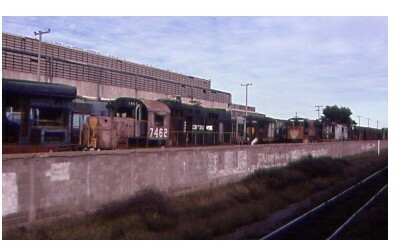 The 25th Year Monument was made out of this CHP 524 and gondola cars that was made to outline the shape of Chihuahua at Temoris on 3/24/1991. 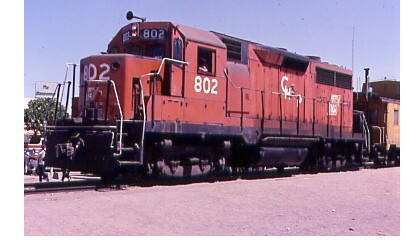 CHP GP-28 808 and GP-40-2 1009 rested in the engine house at Nuevo Casa Grande on 5/13/1988. 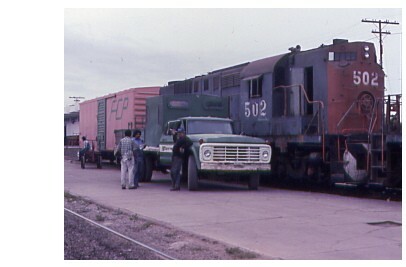 CHP GP-28 802 has FM trucks at Nuevo Casa Grande on 5/13/1988. 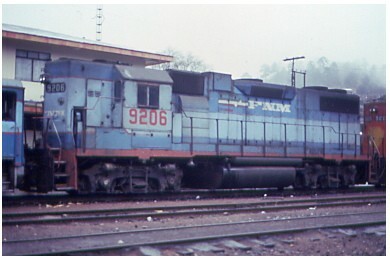 CHP GP-38-2 902 at San Rafael on 1/1/1988. 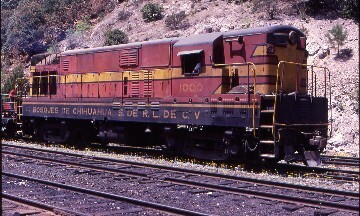 CHP GP-40-2 1013 in the siding at Corralitos on 5/13/1988. 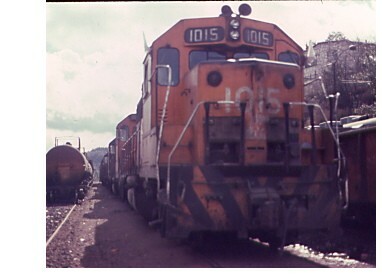 CHP GP-40-2 1015 leads its train at San Rafael on 1/2/1988. 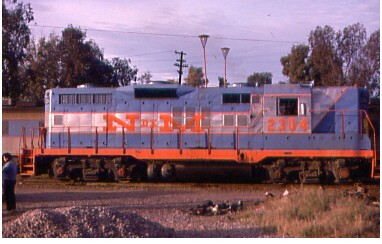 CHP GP-40-2 1023 at Nuevo Casa Grande in 5/13/1988. 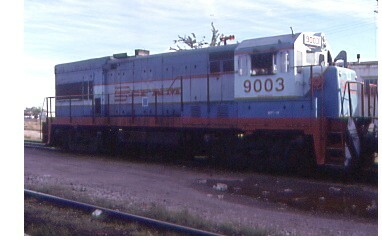 CHP GP-40-2 1033 at Divisadero, Chih on 1/1/1988. 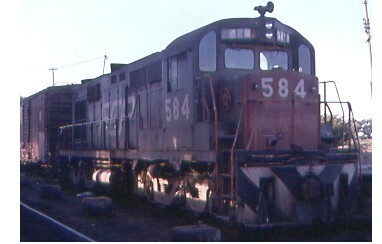 CHP GP-40-2 1035 at Divisadero on 1/2/1988. 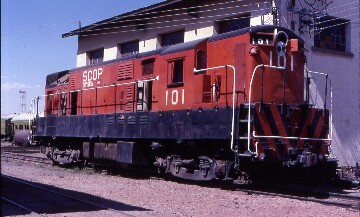 A former CHP H-12-44 lettered SCOP 101 for a movie rested in Nuevo Casa Grande on 5/13/1988. 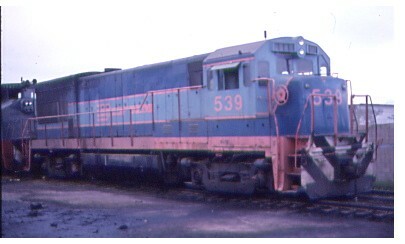 NdeM M-636 651 at Sufragio on March 24, 1991. 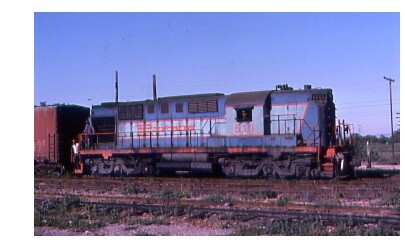 NdeM GP-38-2 903 at Divisadero, Chih on 1/2/1988. 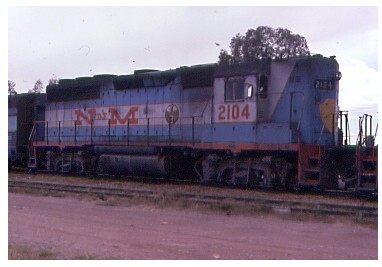 NdeM GP-38-2 905 led our special train to the Bosques de Chihuahua Railroad at Aquaje, Chih on 5/14/1988. 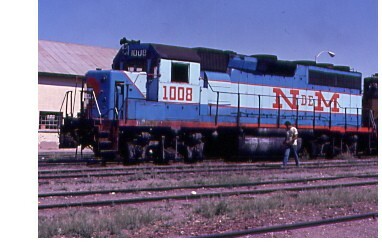 NdeM GP-40-2 1008 was at Nuevo Casa Grande on 5/13/1988. 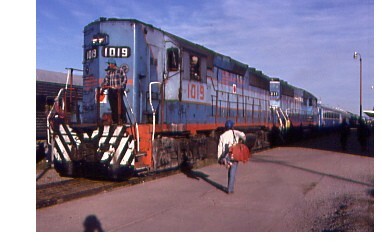 NdeM GP-40-2 1022 at Divisadero on 1/2/1988. 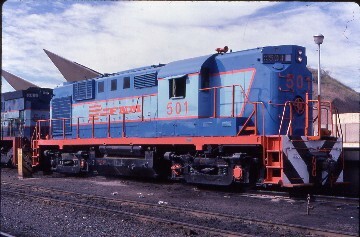 NdeM GP-40 2104 at Benjamin Hill on 3/26/1991. 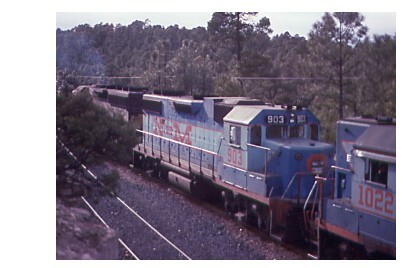 NdeM GP-40-2 2109 at Bejamin Hill on 3/26/1991. 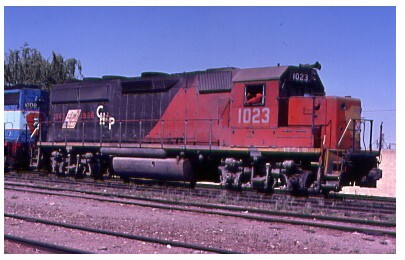 NdeM GP-18 2304 ex SBC was at Mexicali on 12/31/1987. 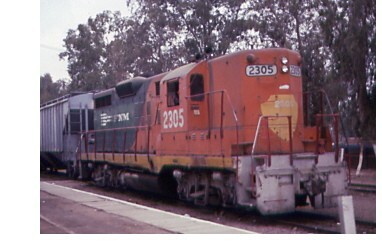 The 2304 again this time five years later at Benjamin Hill on 12/31/1992. 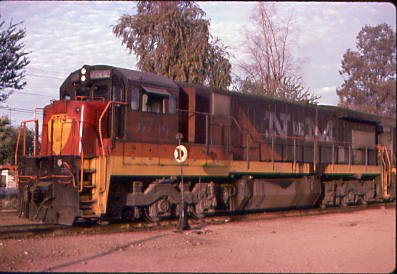 NdeM C-30-7 6714 headed SBC 2 at Puerto Penasco on 12/31/1987. 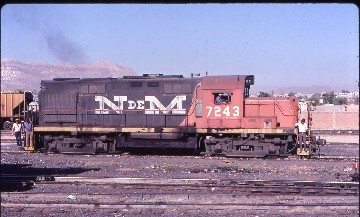 NdeM C-30-7 6723 at Nogales on 9/28/1990. 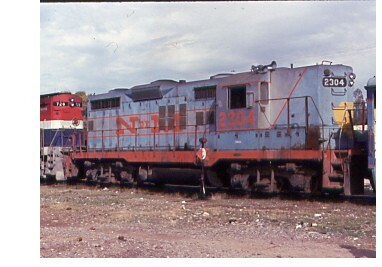 NdeM RSD-12 7243 switched at Juarez on 5/13/1988. 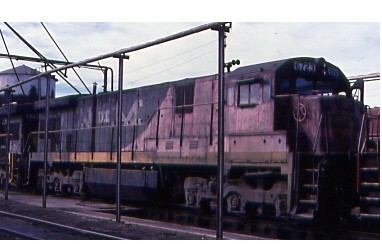 NdeM SD-40-2 8759 at Sufragio on 3/24/1991. 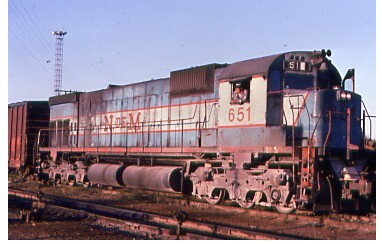 NdeM SD-40-2 8780 at Divisadero on 3/25/1991. 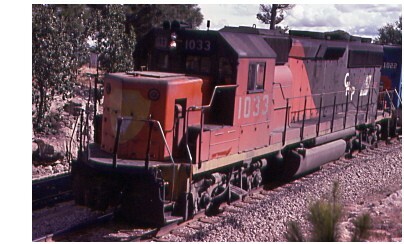 NdeM U-23-B 9110 at Esqueda, Sonora on 9/29/1990. 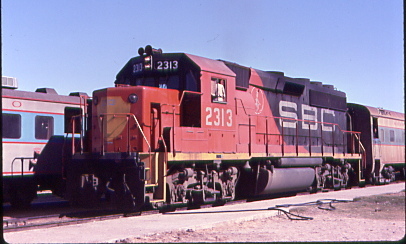 NdeM GP-38-2P 9205 at San Rafael, Chih on 12/28/1992. 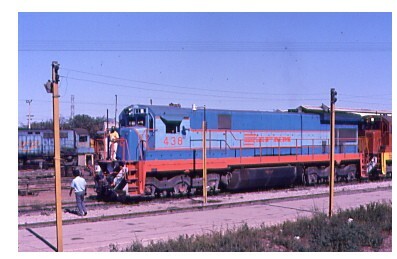 NdeM GP-38-2 9401 arrived from Mexico City through the yard at Cuidad Juarez on 5/13/1988. 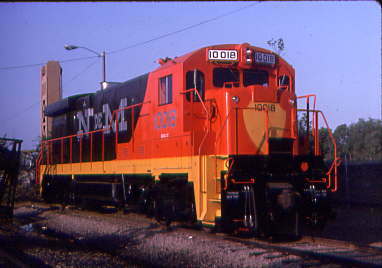 NdeM U-23-B 10018 was on display at Railfair 1991 at Sacramento, Ca on 5/10/1991. 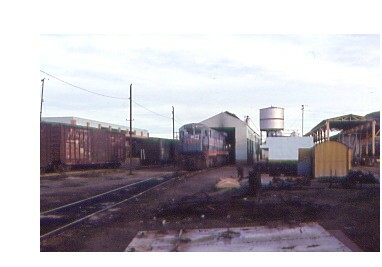 The FNM deadline at the shops at Emplame on 12/27/1997. 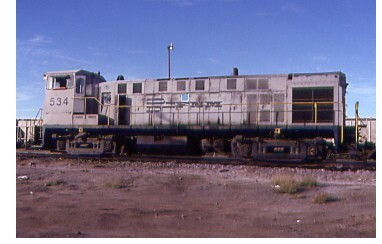 FNM PA1 DH17 at Nogales on 9/30/1990. 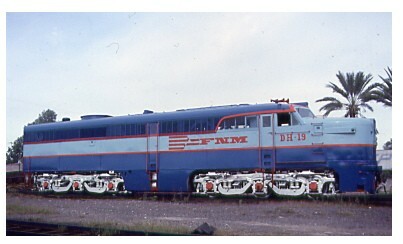 FNM PA1 DH 19 at Empalme on 12/31/1991. FNM C-36-7 426 at Sufragio on 12/28/1997. 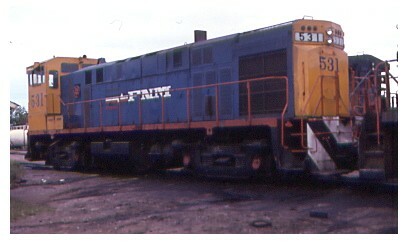 FNM C-30-7 438 at Sufragio on 3/24/1991. 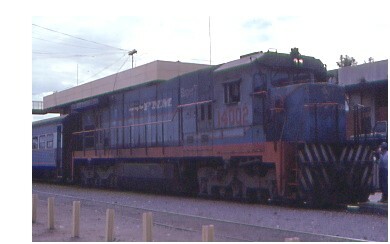 FNM RS-11 501 at Nogales on 9/28/1990. 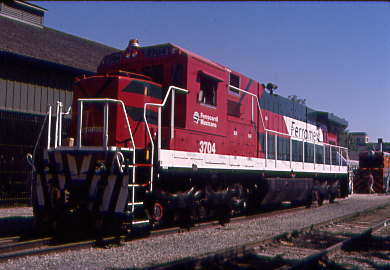 FNM RSD-12 510 at Sufragio on 3/24/1991. 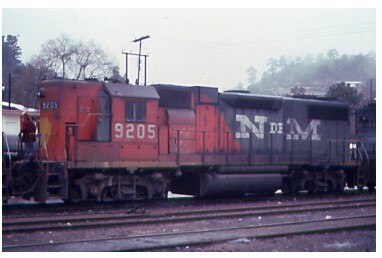 FNM RSD-12 520 in the pouring rain at Sufragio on 12/28/1992. FNM M-420TR 531 at Empalme on 12/31/1992. FNM M-420TR 534 at Emplame on 12/27/1997. FNM U-23-B 539 at Aqua Prieta on 12/29/1990. 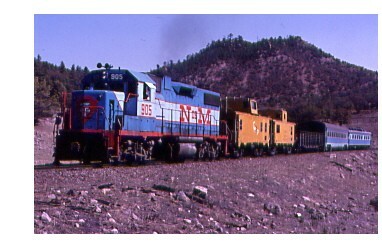 FNM M-424W 563 was at Nogales on 12/28/1990. 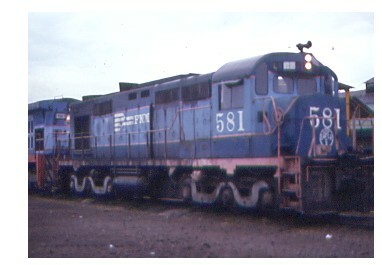 FNM BX-620 581 at Sufragio in the pouring rain on 12/28/1992. 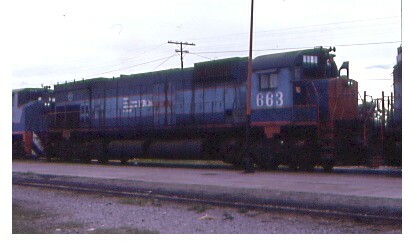 FNM M-636 663 at Empalme on 12/31/1996. 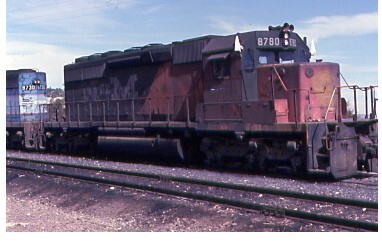 FNM M-630 709 ex BC Rail was at Puerto Penasco on 12/27/1997. 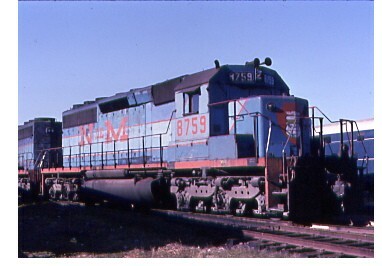 FNM M-630 714 ex BC Rail at Benjamin Hill on 12/31/1992. 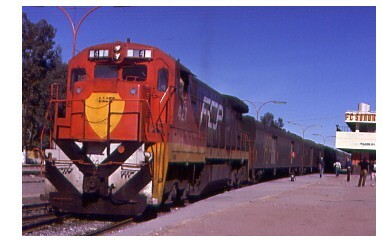 FNM M-630W 727, ex BC Rail was the power of the morning train to Benjamin Hill at Mexicali on 12/27/1997. 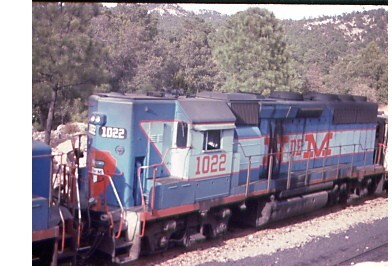 FNM 1019 headed the northbound passenger train to Nogales and Mexicali at Emplame on 12/27/1997. 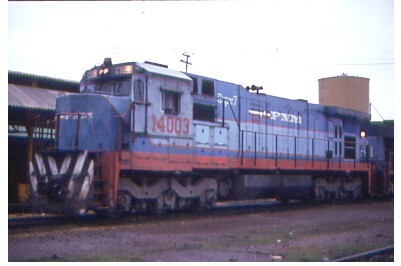 FNM GP-40 1023 at Divisadero on 12/30/1997. 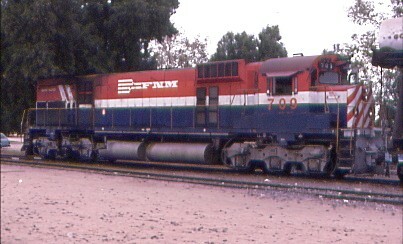 FNM GP-18 2305 ex SBC at Mexicali on 12/27/1992. 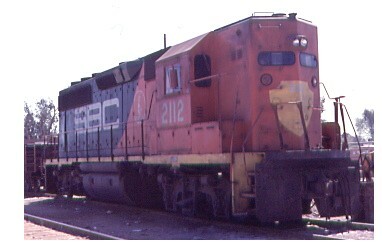 FNM GP-40-2 2314 at Divisadero on 12/30/1997. 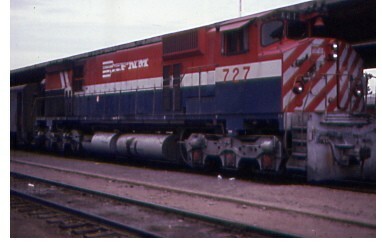 FNM C-30-7 6724 at Sufragio on 1228/1992. 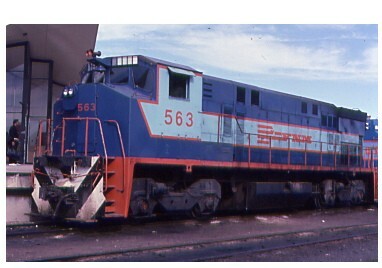 FNM GP-40 8405 at Divisadero on 12/30/1997. FNM U-18-B 9003 at Emplame on 12/27/1997. 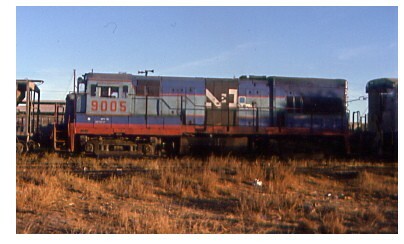 FNM U-18-B 9005 at Empalme on 12/31/1996. 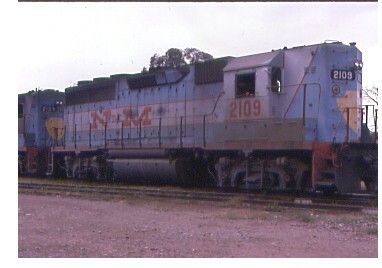 FNM GP-38-2P 9206 at San Rafael, Chih on 12/28/1992. 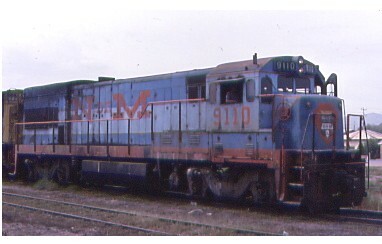 FNM Super 7-C30 11042 at Benjamin Hill on 12/27/1997. 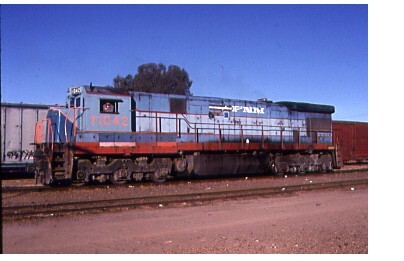 FNM Super 7-C30 14002 at Benjamin Hill on 12/31/1992. 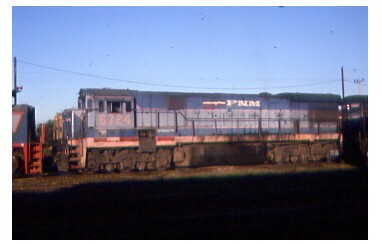 FNM Super 7-C30 14003 at Sufragio on 12/28/1992. 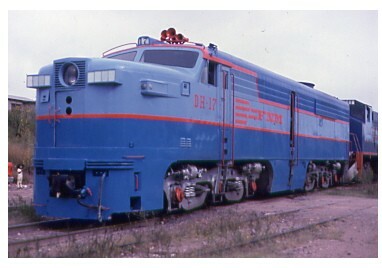 The former lumbering road had two H16-4s. 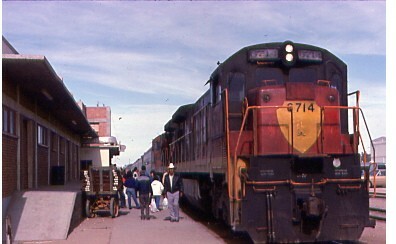 Here is the 1000 at Cumbres waiting to pull our excursion train over the line on 5/14/1988. 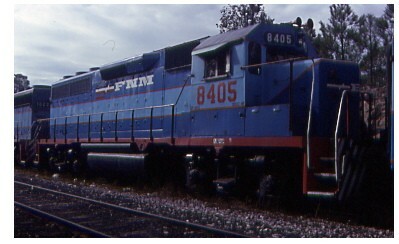 Feromex 3704 was on display at Railfair 1999 at Sacramento on 6/21/1999. This brings us to the end of our journey back in time. 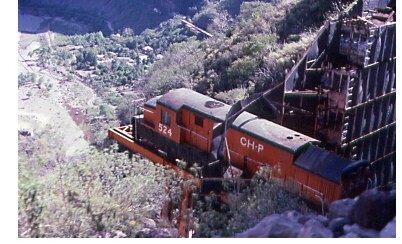 For more Mexico read my six Copper Canyon Stories, the Puerto Pensaco Trips, Destination Nacazori and the Bosques de Chihuahua Stories. Go ahead and enjoy them all found on my Train Trip page. Click on "Home" below to access it and good reading to all.